Progress Lighting Utilitarian/commodity type handheld fan and light remote control is suitable for indoor and 1-Pole applications. It offers full range dimming control for light kit. 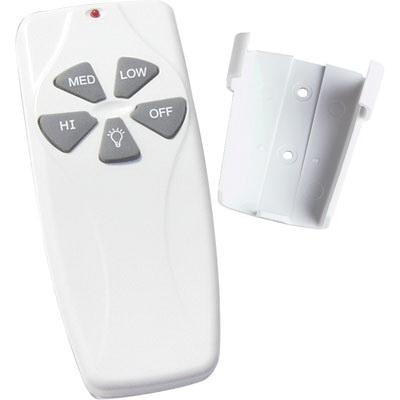 Remote control uses 9-Volt battery for power supply. It comes with wall cradle and two screws for supporting installation near primary switch. It has 3-speed fan control.